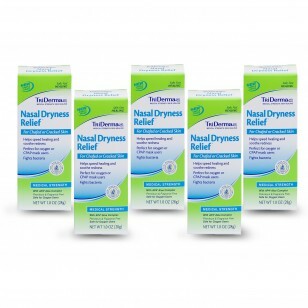 This bundle contains: 5 - Nasal Dryness Relief™ 1 oz. tubes (Value $20). Moisturize and help heal your dry, irritated nasal skin with this petroleum-free gel. It is ideal for those suffering from colds, allergies, climate changes or for those using oxygen machines or sleep apnea masks. 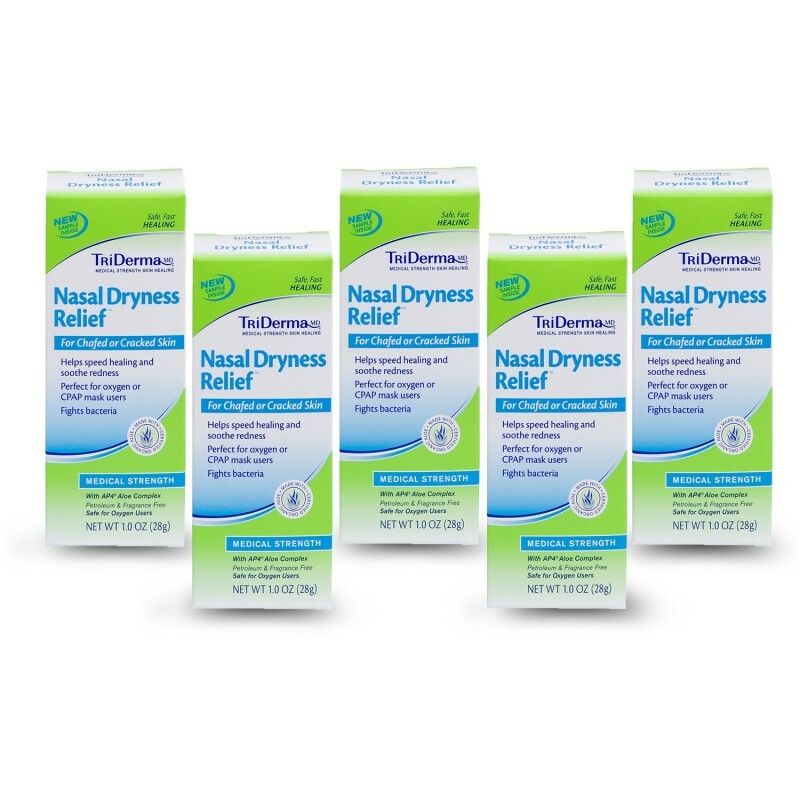 Apply a thin layer to both internal and external nasal passage areas. Use as often as necessary for soothing relief. For CPAP mask users: Apply wherever mask touches the skin. Use before and after treatments to help protect skin. May also be used on other facial areas to relieve dryness or discomfort. Use as often as necessary. aloe barbadensis (aloe vera) leaf extract*, allantoin, carbomer, sorbitol, phenoxyethanol.